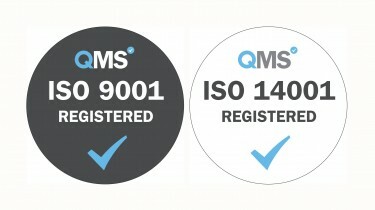 The practice is now ISO 9001:2015 Quality Management and ISO 14001:2015 Environmental Management Certified, following a consultation process with QMS International. ISO 9001 has a strong customer focus. It looks at the motivation of our senior managers and the processes we follow to implement continual improvement, in order to consistently provide customers with high quality products and services. ISO 14001 is the most important standard in the ISO 14000 series of environmental management standards. The International Organisation for Standardisation developed this series for organisations looking to reduce their environmental impact. This fits well within our overall approach to sustainable design.